The purging toys before Christmas holiday tradition has been alive and operating in our family to downsize and declutter toys for over a decade. However, today we’re not going to talk just about getting rid of toys to make room for more. No, no… we are going to chat about how to use this time of year to grow compassion in your child’s heart, train selflessness, and teach her how good it feels to think outside of herself! When it comes to getting rid of toys right before Christmas, you’ll surely be surprised at how (with a little effort) this activity can be used as a stellar, character-building family Christmas tradition! When my oldest child was first born, I was adamant we would never have a house full of toys! His second and third Christmas’s were much like the first. Controlled, minimal, and full of joy! That’s Where the Memories of a Minimal-Toy Christmas Stop. By the time he was 3, he had a baby sister. Shortly after his 4th birthday, another baby sister was added and by 5 years old, he was a homeschooling preschooler with educational toys galore! I understand that some folks are more nostalgic than others. Indeed, for some people, things aren’t just things, they are extensions of emotion. I’ll be honest here, I use to be a lot more nostalgic than I am now. My dear hubby is a “throw-everything-away-er” even if we may need it someday. Between the two of us, we manage to make one really reasonable person! There are a plethora of good reasons for purging toys before Christmas (and other times of the year too.) Let’s vocalize a few of these real quick, to help our hearts and minds get prepared. #1. Toys should have a purpose. Some toys are only gathering dust. If you find that a toy’s only purpose is to sit around and gather dust, that’s no purpose at all. There are toys in your home that are taking up space. A cluttered, crowded space is a main contributor to stress, yelling, and tension in your home. #3. No time to play with them all. There are only 24 hours in a day. Several of them are spent sleeping. Your child can not play with 10 toys at once. When a child is surrounded by stuff that only sits there, she can’t possibly see value in it. She’s being taught a silent lesson, that the purpose of something is only to sit. And while that might be true of a Faberge egg, it is not true of Lego Duplos! A toy’s primary purpose is to bring entertainment or educate. This is what gives it value. Without those qualities, it has no value. Your child should be responsible for her toys. She should take ownership of their care. Meaning, when she gets them out, it’s up to her to see that they are not broken, the parts and pieces are kept up with, and that they are put away. Her limited cognitive abilities to care for toys does not match the surplus of toys she has. You’re setting her up for failure to care for her things when she has more than she can possibly tend to. Alright…. honestly, there are a million reasons why purging, decluttering and donating toys is a good idea. You get the point. Let’s move on. 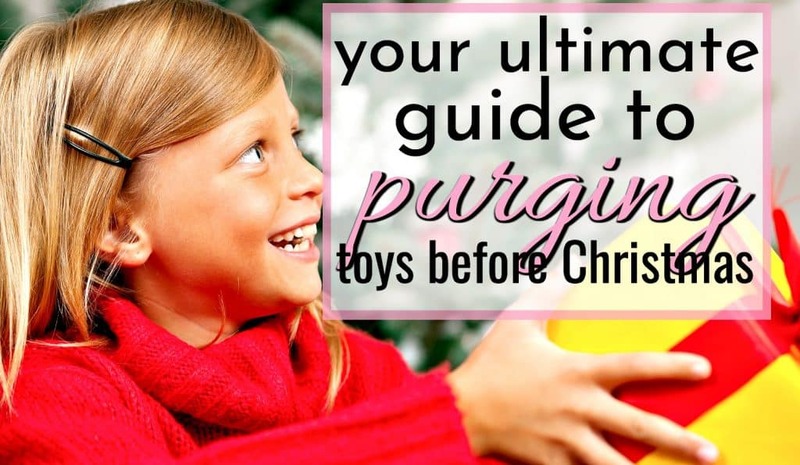 How to start a Purging Toys Before Christmas Holiday Tradition! You know this needs to happen. Your child has more toys than he can possibly play with. They are causing stress and you are trying to raise good kids. Kids that don’t carry around a sense of entitlement. But, all good parenting endeavors need a purpose. 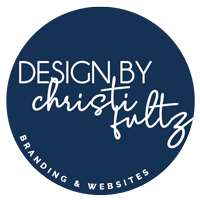 So as I walk you through how to do this holiday purge, let’s focus on how to go about doing it so that the children learn some high-value lessons! While, you could just throw away or donate toys in secret, while the kids aren’t looking, you’d be missing an excellent opportunity for child training! So, instead, we’re going to call the kids in, require them to join us, and make our families stronger while we’re at it! If this is the first time you’ve done a toy purge, or the first time you have done it without hiding it from the kids, tell them what’s going on. Your talk should be short, simple and to the point. You do not need to over-explain yourself! Explanation station is an easy trap to fall into. Don’t ride that train! Now, your words may sound different depending on the goals you set for your toy purge after you’ve read this all the way through. Let this example dialogue serve as a model for how and what to say. 5-7 Sentences is all that’s necessary. Focus on the character behind the deed. And don’t approach the situation by asking your child’s permission. Instead, vocalize the standard and expectation. #2. What toys should I purge? How many toys you donate depends largely on your family. One box per child, or three? Decide how much to donate or sell based on what your child has. Don’t be stingy. Any toy that has not been played with regularly over the past year is fair game. Enter your child’s room with an open box and an open mind. Often times your child will surprise you with the items she wants to donate. You have to be OK with letting things go. I recall one year when my daughter wanted to donate a doll that I had given her. She hadn’t played with the doll very much and it felt like giving away a $50 bill! I realized that she had never really liked it much and indeed, I was the one who wanted her to have it. I had to come to terms with the fact that another little girl might love and cherish that doll, but my daughter never would. That toy was put to better use in someone else’s home and donating her was one piece of the toy-de-stressing-puzzle! So away she went! #3. Kept. Discarded. Donated. Sold. In your child’s room, with your open mind and open box, discuss whether each item should be kept, discarded, donated, or sold. We’ll talk more about selling items later, for now, let’s talk about the first 3 options. There will be toys that you and your child both know are off-limits. The Lego Duplo’s that he builds a bulldozer garage out of every single day. Keep! The American Girl Doll that she changes outfits on at least once a day. Keep! Kids can be high on zeal and low on logic. He may “feel” like he loves that toy in that moment, although he hasn’t thought about it in months. Make a pile or designate a box for the toys that “feel” difficult to throw away. Come back to those toys after you are all done with your purge. Your child will very likely have changed his mind about many of them after only an hour or so! Some toys never go out of style! Take, for instance, the Lego’s again. If your child loved Lego Duplo’s for a long time, but has outgrown them, they are now a perfect gift to pass down to a younger cousin or friend. Designate a box to be passed down to those you know will want and love particular toys. Then designate a second box to be donated to an organization. We’ll talk about which organization to choose later. We’ll discuss how selling some items can benefit your child and teach valuable real-life skills, soon. For now, I just want to plant the seed in your mind that not everything has to be given away freely. #4. Decide where to donate. There are a number of ways to donate your child’s toys. You can choose one of the well-known organizations such as Goodwill or Salvation Army. While people have opinions about both of those place, I believe there are pros and cons either way. If you feel particularly fond of one of them, then donate there. Wherever you choose is fine. However, my favorite way to donate toys is to find a local organization that takes in all the best-donated toys that people have to offer and then allows other low-income families to come “shop” for their children at Christmas. When we lived for a few years in MO, there was a local group that took in high-quality, gently used toys as donations. The group would set up a store of sorts for parents to come shop at Christmas for their children. To be allowed to shop, you had to meet certain financial requirements. And the toys needed to be in pretty good condition. I LOVED this!! We donated to this cause both years we lived there. Do some research to find out if you have a similar charity in your area. #5. Take your child with you. Take your child with you. Let her SEE you drop off your belongings to another human with a smile on your face and kindness in your heart! As you display love, your child will witness what it looks like and how it feels. Now that you know how to conduct a donating day, let’s chat about how to use all of this to train good character in your child. Donating toys is one thing, but doing so with a grander purpose is parenting artistry! Make Donating Toys for Christmas Into Character-building for Your Child! You could wait until your child wasn’t around and go through her room. You could easily throw away the broken stuff, and dump half of her things into a box and drop them at Goodwill. Doing so, however, robs your child of valuable lessons in compassion, selflessness and reaping what she sows. You’re doing a good thing for your child by bringing her in the loop! #2. Talk about it as you go. Help her visualize how happy another little girl will be when she plays with the doll that your daughter no longer cares for. Talk to your little guy about all the possible creations another little boy will build with his blocks and how much joy he’ll feel in the process. Discuss being the manifestation of hope in someone else’s life. As believers, this is where I would talk to my children about being the hands and feet of God. #3. It’s OK if your child cries. Entitlement is real and it is rampant. Kids and adults alike, everywhere have a sense that simply because they ARE, they should HAVE. This is why around 73% of people die in debt! No… I’m not being snarky. I mean, really… so WHAT if he cries? What does crying due to donating toys mean for your child long term? Will he be internally wounded because you lowered his toys from 100 to 75? Or 50 to 30? Will she be scarred because Mommy wouldn’t allow things to sit around and collect dust? However, the long-term effects of not following through with reducing your child’s entitlement could be much more destructive. If she cries, let her cry. If he kicks and screams (less likely than you may think), let him kick and scream. Do it anyway! Your child will make it through and come out the other side of the experience realizing that she still has plenty of blessings. She will have learned a lot from the fact that she now has fewer toys and didn’t die of heartbreak after giving some away. How to Combine Great Parenting with a Powerful Christmas Tradition! I mentioned selling toys earlier and it’s time to elaborate on that! Turning your toy purge into a lesson in making money, and blessing others.. well that’s just some plain-ole’ epic parenting! Not long ago, we had a yard sale. It was a lot of work and I’ll be honest, I didn’t really want to do it! But… the kids wanted a chance to make some cash for other pursuits, so I relented. After all, these are the things I am training them, right?! Before the yard sale, my son got a few old phones passed down to him, purchased inexpensive chargers, reset them to factory and brought them to the yard sale. He made a nice chunk of change and was able to put that money toward other endeavors. #2. Give it a Christmas spin! I wrote about an amazing Christmas tradition here. This family anonymously gifts other families on Christmas Eve in a pretty exciting way. They purchase gift cards, wrap them in boxes and leave them on doorsteps. Go read more about this tradition here after you’ve finished this post. So, how about, you and your child look through her toys with the intention of finding a few really nice things. Look for items she never liked much to begin with, so they are hardly used. Then take the money and purchase gifts or gift cards for those in need! Come up with your own family tradition of giving (or use this family’s idea) and bless the socks off others at Christmas! This one deed will accomplish two fantastic feats! #1) You’ve created a Christmas tradition that the whole family can be VERY proud of! #2) You’ll have taught your child to think outside the box in regards to making money – which is a gravy bonus! Final Thoughts on Purging and Donating Toys at Christmas. You have a handful of opportunities on any given day to teach and train your child virtuous traits! Christmas can become any number of things. It can become a season of greed and selfish expectation. Or your family can choose to keep the holiday season a time of selfless giving, character-building, great parenting, and memorable family traditions! « 15 Fall Activities for the Family Who Doesn’t Celebrate Halloween.